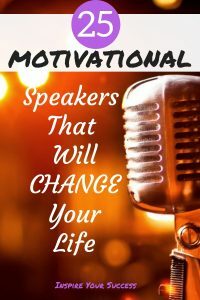 Top 25 Best Motivational Speakers: The Most Epic List of Motivational Speakers To Get You Hyped! I’ve always been amazed at how the best motivational speakers can capture an audience and transform their lives. One sentence they deliver can truly change the course of someone’s life. In 2016 I attended my first seminar in Phoenix, AZ and my life changed forever. I knew that I had opened my mind to what is possible and that I could never settle for average again. This seminar included some of the best motivational speakers ever including Tony Robbins and Nick Vujicic. Since then I’ve been hooked on attending seminars and learning the habits of the most successful people in the world. While some of the people on this list aren’t full-time “motivational speakers” they are extraordinary humans. They can absolutely help you achieve your biggest dreams. If you need some direction in your life this post is sure to help. **Note: This list of speakers isn’t an order of rank beyond the top five. 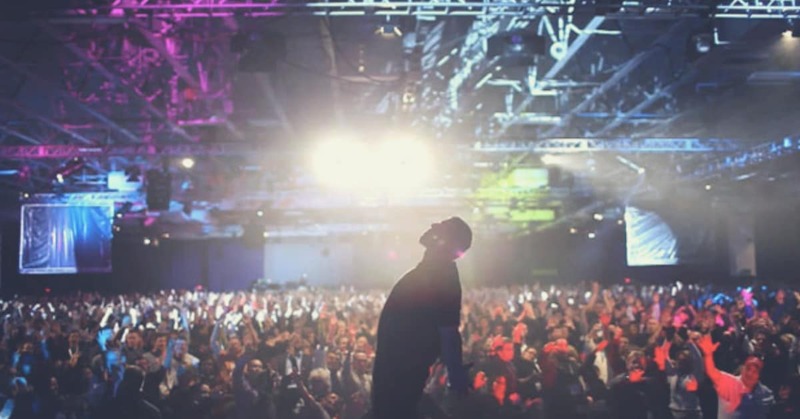 Learn more about attending an upcoming Tony Robbins event! How could Tony Robbins not be the first on the list of best speakers!? He actually hates being called a motivational speaker but instead a peak performance coach. Tony motivates everyday people all the way to presidents, billionaires, and elite athletes. And he’s been doing this life-changing work for nearly 30 years! Tony Robbins was the first person I saw live that really changed my life. The amount of energy, confidence, and certainty he brought to the event was nearly hypnotic. A year after first seeing him I went to a four-day event, Unleash the Power Within, which was even more incredible. It was a fully immersive, life-changing experience. The first night even included his epic firewalking! If you’ve been living under a rock and don’t know the legend Tony Robbins I highly it. He has so much content from books, audio, and live events. Check out more incredibly inspirational Tony Robbins Quotes here! Favorite Book: Awaken the Giant Within: How to Take Immediate Control of Your Mental, Emotional, Physical, and Financial Destiny! Jim Rohn is another one of the best motivational speakers of all time. He was also a top mentor to Tony Robbins. He is known for his powerful speeches that empower the mind and the soul. His ideas have helped millions of people achieve their biggest dreams! Jim Rohn spent his entire adult life giving back to society by teaching others about personal development. He also did extensive teaching on how to become successful with sales. He tried to teach people that they could be whatever they chose to be. If you’re looking to make a change in your life start learning about Jim Rohn. There’s a reason he is considered the Godfather of personal development. Read more Jim Rohn quotes here. Eric Thomas is an incredibly passionate and successful inspirational speaker. He has become very popular in the last few years and is the #1 result when you look up “motivational speaker” on Youtube. He is raw, unfiltered, and incredibly enthusiastic in his videos. Like so many others, Eric had an extremely difficult childhood. At 16 he was kicked out of his house and homeless living in abandoned buildings. Despite a tough background, he went on to get his bachelors, masters, and doctorate degree. Eric primarily speaks to schools around the nation and his Youtube channel. I also go to see him live at Thrive in September of 2018. Eric was a force of power and passion! Eric Thomas does not sugarcoat anything. He is also nicknamed the “ET The Hip-hop Preacher” because he preaches success and motivation! He also talks about how it may take years to accomplish your definition of success. E.T. constantly delivers some of the best motivational speeches about life of all time! I got to see him live in 2017 and loved hearing his message in person. Without a doubt, he is one of the best motivational speakers of all time. Like Eric Thomas, Les Brown came from a very rough background. It included being born with his twin brother Wesley in an abandoned building and given up at birth for adoption. He never knew his parents and was raised by a single mother on welfare, Ms. Mami Brown. He continued to struggle through his childhood after being held back twice and even being labeled EMR (educable mentally retarded). Luckily, a teacher was able to get through to Les in high school and help him begin to believe in himself. That moment changed his life forever and set him on a course to become one of the most inspirational speakers of all time! Les Brown speeches focus on the importance of having a strong belief in yourself. Zig Ziglar has an appeal that transcends barriers of age, culture, and occupation. Since 1970, he traveled to over five million miles across the world delivering powerful life improvement messages. 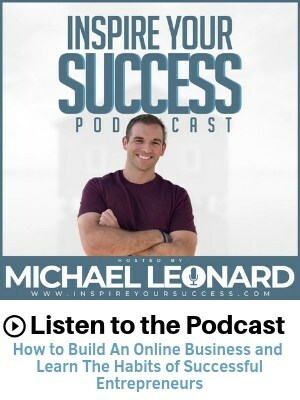 He was known around the world as a performance trainer for major corporations, a top motivational speaker, and author of best-selling books such as See You at the Top and Secrets of Closing the Sale. In his speeches he talks about the Law of Attraction, believing in yourself, and the power of positive thinking. His lifetime achievements are phenomenal. He has consulted for a huge number of businesses and held seminars around the world. Not to mention, he has conducted years of research in Business, Economics, Psychology, and Philosophy. He is also a best-selling author who has published amazing books to help you reach your goals. It’s hard to get much more inspiring than Nick Vujicic. He is one of the best inspirational speakers for so many reasons. He continues to be positive, inspiring and optimistic, despite being born with no limbs. Due to a rare condition, he has no arms or legs but continues to appreciate his life to the fullest. I got to see him live and couldn’t believe how incredibly motivating he was in person. So many people get down and out over such little things in life. But here is a man with no limbs that became a motivational speaker. His disability led to him founding his very own non-profit organization called ‘Life Without Limbs’. Nick Vujicic is a true inspiration to us all. Make sure to watch some of his motivational speeches on YouTube. It’s incredible how he’s been able to adapt to life without limbs and still inspire people worldwide. He is truly someone who can help you learn to be grateful for everything in your life. His message will motivate you to never give up. Nick knows that nothing is impossible. And Vujicic stresses the value of not focusing on what you cannot do. Instead, focus in life on what you can control and what you can do. Gary Vaynerchuk is an entrepreneur, best-selling author, speaker, and founder of Vaynermedia. While he’s more successful than ever, it didn’t always start out that way. 30 years later he hasn’t stopped. He joined his family’s wine business in New Jersey after graduating from Mount Ida College in Massachusetts. Through a relentless work ethic, e-commerce, Youtube, email marketing, and pricing he grew the family business from $3 million to $60 million. By 2009, he founded a digital media agency with his brother and went full-time with the agency in 2011. He is now seen all over the internet with his popular Youtube show, podcast, best-selling books, and constant social media updates. Gary Vee knows how to hustle and motivate you to take action in your life! Check out these 81 epic Gary Vee quotes! Stephen Covey is another great speaker, author, businessman, and teacher. His most popular book is The 7 Habits of Highly Effective People which is one of my all time favorite books ever! His other books include First Things First, Principle-Centered Leadership, The 7 Habits of Highly Effective Families, and several others! Sadly, in 2012 he passed away due to complications from a bike riding accident in weeks before his death. Dr. Wayne Dyer is always on the list of motivational speakers that can change your life! After leaving his teaching job he began his career as an inspirational speaker who spread his positive message around the United States. As his popularity grew Dr. Dyer went on to become a best-selling author and published over 35 million copies of his books worldwide! And they are incredible books as I’ve read several. Sadly, Wayne Dyer passed away in 2015. RIP to one of the most iconic and recognizable speakers of all time! One of Wayne Dyer’s proteges is Brendon Burchard. He is not only a motivational speaker but a best-selling author and high-performance coach. Brendon teaches all about the science of motivation, goal setting, and creating belief in yourself. After getting super depressed in college and thinking about suicide, he had a day that changed his life forever. He was involved in a tragic car accident and said he should have died. It was at that moment he realized that he meant to do more with his life. I got to see Brendon Live in 2017 and loved how powerful his message was. Make sure to watch some of his Youtube videos or read his best-selling books. Tom Bilyeu is the co-founder of the billion-dollar brand Quest Nutrition. He has gone on start his own personal growth company, Impact Theory. The company is home to the amazingly popular Youtube show/podcast, “Impact Theory.” It features some of the smartest and most fascinating guests of all time! Impact Theory is by far my favorite motivational podcast of all time! He has had individuals like Tony Robbins, Lisa Nichols, Tim Grover and tons of other amazingly talented people. I got a chance to see him live in 2017 at “Success Live” and couldn’t believe how motivating he was in real life. Like so many people he struggled with his weight, motivation, depression, and self-belief. But he went on to master his own mind to become one of the best entrepreneurs of this era. At the time I met him I had just started my entrepreneurial journey and was obsessed with learning the habits of all successful people. I asked him how can I truly “make it” as an entrepreneur. Does Oprah even need an intro? Everyone knows who the incredible Oprah Winfrey is in today’s world! She has motivated and inspired millions of people with her story. Winfrey was born into poverty in rural Mississippi to a teenage single mother. During her childhood, she was molested and became pregnant at 14 although her son died in infancy. But she didn’t let this horrific incident define her future. Eventually, she landed a job in radio while still in high school. She even began co-anchoring the local evening news at the age of 19. Her emotional ad-lib delivery eventually got her transferred to the daytime talk show arena with massive success. She found success with her Chicago talk show and eventually launched her own production company. In 2013, she was awarded the Presidential Medal of Freedom by President Obama and honorary doctorate degrees from both Duke and Harvard. Oprah’s story is incredibly inspirational and shows you that anything is possible! I just discovered Ed Mylett earlier in 2018 and can say without a doubt, he is one of the best motivational speakers of all time. He has more passion, enthusiasm, poise, and confidence than almost anyone I have ever listened too. He went from dead broke and skinny, to looking like the Rock and being worth $400 million in less than 20 years. Ed Mylett even made the Forbes 50 under 50 last year! While he’s incredibly successful, the best part about Ed is his genuine good soul and spirit. He really wants to help as many people as he can with his inspirational words and a positive message. I can’t recommend following him on every channel. His work will teach you a ton about confidence, habits, morning routines, and becoming successful. After hearing him live at Thrive: Make Money Matter in Las Vegas, I can say he’s one of the top motivational speakers for 2018! Jocko Willnik is a retired Navy SEAL, podcaster, author, and unbelievable motivational speaker. I got to see him interviewed live in 2017 and loved the straightforward answers he brought to each question. He has a no BS approach to what it takes to become successful. He’s known to share his routine and life with his followers under the premise, “Freedom equals discipline.” He routinely wakes up by 4:30 am, trains aggressively, and has been putting out unbelieve content since retiring from the SEALS. After World War II Earl Nightingale began work in the radio industry, which eventually resulted in working as a motivational speaker. During the autumn of 1949, Nightingale was inspired while reading Think and Grow Rich by Napoleon Hill. His work was documented with over 7,000 radio programs and 250 audio programs as well as TV. Arnold Schwarzenegger is one of my personal, all-time favorite motivational speakers ever! You may know of Arnold for many reasons including his professional bodybuilding career, Hollywood movies, or becoming the governor of California. Arnold has an amazing story for how he became successful. Like others, he suffered tons of failure, defeat, and embarrassment. But he had a vision for what he wanted out of life, the ability to never quit and an incredible work ethic. Lisa had a very difficult background but went on to achieve unbelievable accomplishments despite the odds. She is known for her unbeliever inspiriting attitude and has helped people around the world discover the inner talents and unlock their true potential. This is an awesome video where Lisa talks about overcoming fear and becoming the best version of you! Jack Canfield is the author of the wildly popular series, “Chicken Soup for the Soul” which has sold over half a billion copies worldwide. He is also a motivational speaker who has seminars and masterminds around the country. Jack has been on the best sellers list several times, conducts speaking events around the world, and recently starred in a documentary about his life. I was fortunate enough to meet Jack in 2017 and can say he is one of the greatest speakers alive. He believes with 100% conviction everything he teaches and his greatest passion is helping others find success. His book, The Success Principles, is a blueprint for creating a successful life. Each chapter will help you get from where you are to where you want to be and highly recommend reading it. It is one of my all-time favorite books ever and can’t recommend that you read it sooner! Check out these other amazing Jack Canfield quotes to become successful in your life! David Goggins is considered as one of the best ultra-endurance athletes ever. He has competed in more than 50 endurance races, has placed highly at the Badwater 135 in Death Valley, and set top-five finishes in nine other ultramarathons. He also holds the world record for most pull-ups done in 24 hours! Prior to dominating ultra-endurance sports, David was a Navy SEAL, Army Ranger, and all around badass! After hearing him on Impact Theory show I was blown away. He is without a doubt one of the toughest human beings alive. And like so many others on this list, he came from a very rough background. Growing up he dealt with racial issues, depressions, and other challenging issues. But, despite all of that he went on to become ultra successful. Inky Johnson is a motivational speaker who was a collegiate football player until one play changed everything. A routine tackle turned into a life-threatening injury, and nothing has been normal for Inky ever since. Not with a paralyzed right arm, with daily pain or constant physical challenges. But despite all of that he has gone on to give some of the most inspirational speeches of all time! He doesn’t believe in motivation but instead, inspiration. Through his walk and his talk, Inky embodies and imparts a truly inspirational message in the lives of everyone he touches. C.T. Fletcher is an American powerlifting vlogger, media personality, actor, personal trainer, and former powerlifter and bodybuilder. He is a three-time World Bench Press Champion and three-time World Strict Curl Champion. And he did all of this with a very rare and life-threatening heart condition. C.T. Fletcher inherited from his mother’s side of the family a heart condition that has heavily impacted his life. His mother and all nine of her siblings died from heart problems. In 2005, he underwent life-saving open heart surgery. On The Joe Rogan Experience, Fletcher talked about how in June 2017 he had another heart attack and is currently hoping to get on the wait-list for a heart transplant. In May of 2018, he even had an 11 hour, open heart surgery procedure. Despite all of this he continues to motivate and inspire people around the world with his positive message and unreal work ethic in the gym. While is more of an author than a speaker he has tons of great videos on Youtube as well. He’s a huge proponent of morning routines and has said its one of his biggest keys to success in life. Tim Grover is one of my personal favorite motivational speakers because he is a badass. He is the trainer of elite athletes like Michael Jordan, Kobe Bryant, and Dwayne Wade. His style is known to be relentless. If you work with Tim expect to be pushed to levels you didn’t know were possible. He operates at a higher level than most people are willing to go, to achieve what most people won’t. Tim is the author of the bestseller, Relentless, and creator of the digital training platform: “The Relentless System.” His work is recognized around the world in sports and exercises science. He has appeared on ESPN, Yahoo, Sports Illustrated and other media outlets. I love his passion and motivational message! Last, but definitely not least is the amazing Mel Robbins. Mel is a best-selling author of the book, “The 5-Second Rule” and is an international speaker. While the rule is simple it is incredibly effective and life-changing. Some readers have even used the rule to not end up taking their own life. It’s that powerful! Mel Robbins used it to turn her life around in every facet. 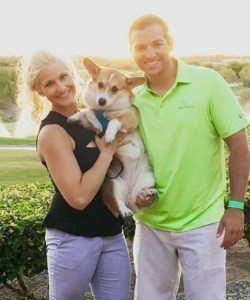 From improving her marriage, going to the gym, and finding a career she loved. She is now a best-selling author, top booked speaker, and helping millions of people better themselves. Check out these Mel Robbins quotes for even more motivation! I really hope you love this list of the most inspirational speakers! I can say with 100% conviction that I wouldn’t be the person I am today without the words of these incredible people. If you want to take your life to the next level you need to surround yourself with motivating people and inspirational content. Instead of channel surfing at night or listening to the same song on repeat, listen to them. I have had some of my biggest breakthroughs in business and life from listening to these amazing speakers. Be grateful for an era that we are living in that allows us access to so much FREE information. Take advantage of it and use these speakers to take massive action in your life. Find a Tony Robbins event near you to start taking the steps to change your life forever. One common trend I’ve found people like these speakers and guests on my podcast is that they all have one thing in common. Morning rituals that set themselves up for success. If you don’t a morning routine that empowering and get you excited for each day, you’re missing out. To help you get started, make sure you download my free “Win the Morning” cheat sheet below. I’ll show you exactly how to wake up earlier and create a routine like the most successful people in the world! Nice blog and thank you for providing such a useful information by this blog. Thank you Prashant, I appreciate you reading! Jack Canfield and John C. Maxwell are my favorite motivational speakers. Thank you for this educational resources. John and Jack are both great! Glad this was helpful and appreciate you reading! Thank you for this motivational speech quotes,this is actually the best platform ever.